Over a year ago I put nearly all my possessions in storage, had my flat painted white throughout and tried to sell it. After months of time wasting fools I decided I'd rather carry on living here than carry on trying to sell. This left one small problem tons and tons of books, videos, CDs, records and other accumulated gubbins. I am going to need serious storage if I'm ever to get all my stuff out of storage. So started building These cabinets in my living room. Once this is finished I have to redecorate the bedroom, then turn the second bedroom into an office and then decorate the hall. Argh! Why did I start this? My living room just before starting work on cabinets. 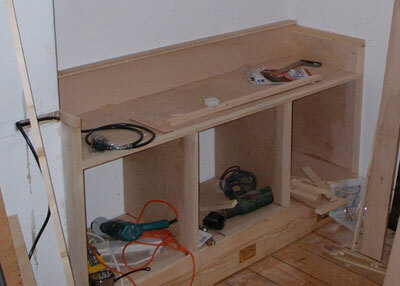 Cabinet base with cunning skirting board drawer arrangement. Right alcove cabinet. This one will house hi-fi and video equipment. Two record decks and mixer on top and amp, dvd etc below. 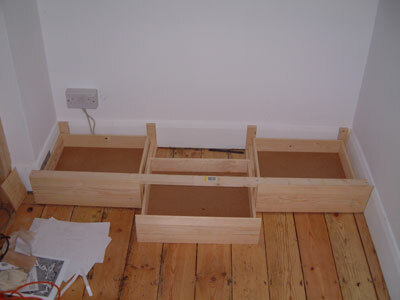 CDs will be in drawers up the centre. 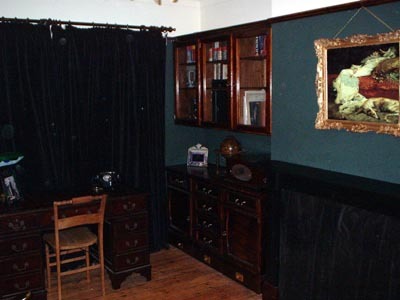 Video footage showing first real drawers in the left side alcove and then the fake drawers in the right side alcove that will hide the record decks. 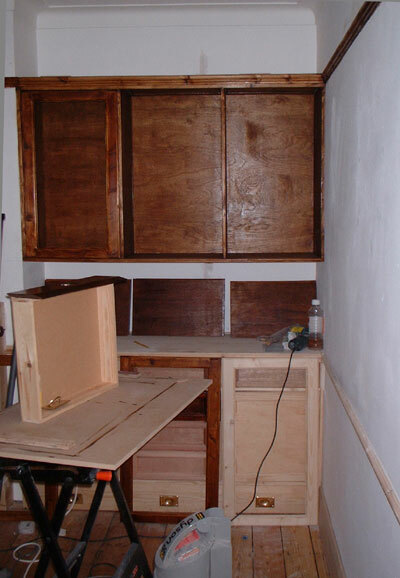 Right alcove cabinet and bookcase. Bookcase has had it's first coat of stain and varnish. 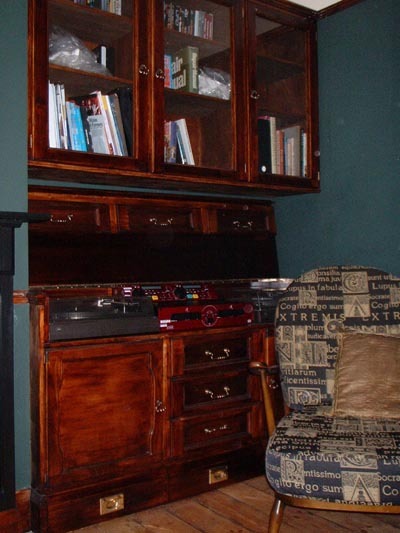 Left alcove cabinet and bookcase. 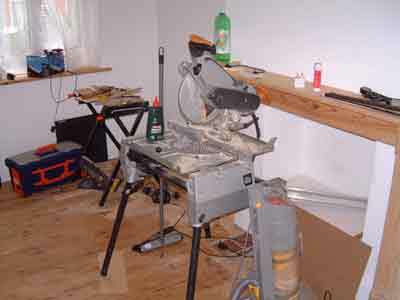 Skirting board draws removed for varnishing. Test board for finale colour scheme. 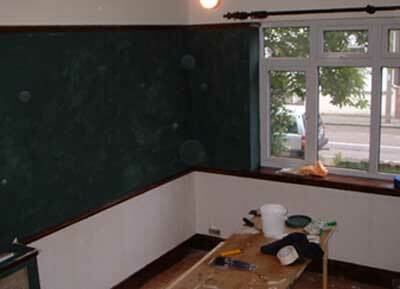 First coat of Trust Green goes on. 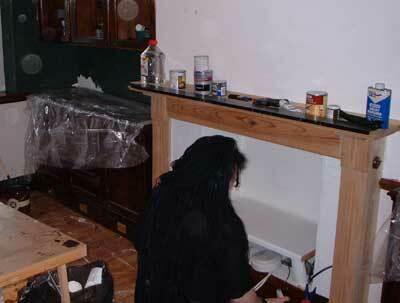 Angel cleans the fireplace prior to painting. All most done. Just need some rugs, candle holders for the chimney. That oil painting is only photoshop. 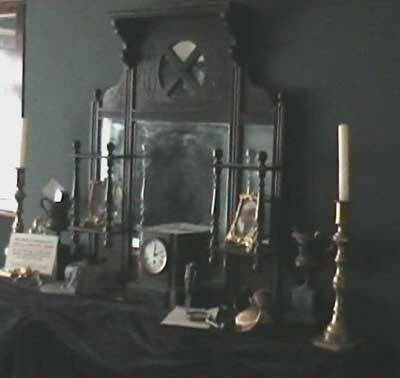 I think the mantelpiece needs a clock. 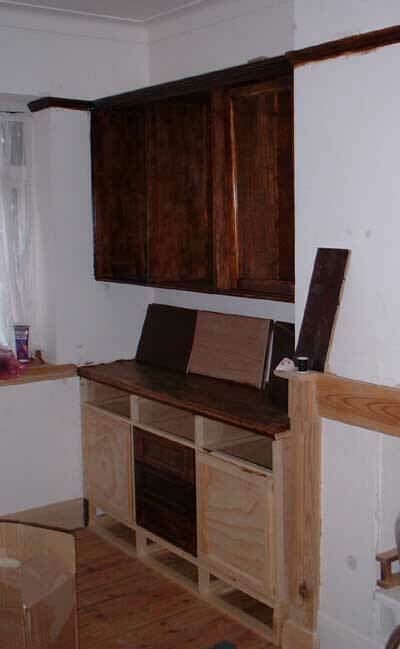 Right hand cabinet with faux draws lifted to expose twin vinyl and CD decks. None of it properly wired in yet. The Sherlockian mantelpiece takes shape.